At Furry Friends we focus on cat care which is what we know and love best! We cover a large part of North Raleigh and service most of the neighborhoods on and around Falls of Neuse Rd & Six Forks Rd. Limiting our coverage area allows us to spend more time with your kitties and less time driving while keeping our rates affordable. Randy and I do all of the visits ourselves and never hire contract workers or employees. You can rest assured that the visits are done in a professional manner with the up most care being given to your babies and home! We get to know you and your pets and follow your pet care routine to the letter. We offer morning, midday and evening visits, 7 days a week. During these visits we provide fresh food and water for your kitties, plus clean their litter boxes. Most importantly, we give your babies a lot of love and attention, including plenty of hugs and kisses! Kitties with special health needs are no problem. Of course, we bring in your mail and newspaper and are available to water plants. We always leave a welcome home note letting you know how much fun we had with your babies, plus a little surprise for you and them. We are bonded, insured, veterinarian recommended and a member of Pet Sitters International. Please contact us today, so we can meet you and your kitties by doing a get-acquainted visit at no charge! We get it—you’re busy and you’re budget conscious. And we can even understand why you’d think about asking your neighbor’s teenage daughter or checking one of those Uber-like sites to find a pet sitter when work or travel keeps you from your pets. And while we get it, and while we can understand your desire to find a quick (and cheap) pet-care solution, we urge you to stop and think about your pet. 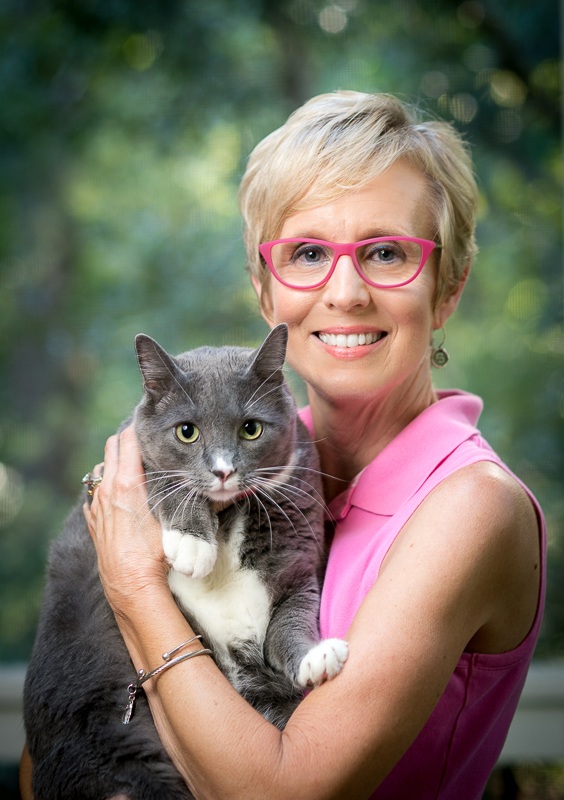 Here at Pet Sitters International (PSI), we aren’t just the world’s largest educational association for professional pet sitters—we are pet owners ourselves, and our love for pets drives everything we do here at PSI. We’ve seen the news alerts come through about crimes committed against pets and clients by purported “pet sitters.” Just this week, a police report detailed how a neighbor who was asked to pet sit installed hidden cameras in the bathroom and watched the pet owner and her children shower. We wish this was the only horror story, but it’s not. Time and time again, we’ve seen reports of teenagers hired as “pet sitters” trashing a home, so-called “pet sitters” stealing thousands of dollars in property, and much worse, including pet abuse and death. Oftentimes, pet owners, and even news outlets, use the term ‘pet sitter’ carelessly, referring to anyone—from a family friend to the neighborhood teenager asked to walk a dog—as a “pet sitter,” but it’s important that you understand pet sitting is a professional career and professional pet sitters offer peace of mind that other pet-care options cannot. While it may be tempting to save a little cash by hiringa neighbor, high school student or even a loving, retired couple or family who’ve listed a free profile on a “pet sitter” site, isn’t your peace of mind and your pet’s health worth more? Would one of these individuals be able to spot possible early signs of renal failure in your senior cat and rush him to the vet while you were on vacation? A professional pet sitter would. Would any of these “pet sitters” know how to respond if they entered your home to find a broken window, open door and missing pets? A professional pet sitter would. Would any of these hired “pet sitters” rush to your home at your call to say goodbye to your beloved pet on his deathbed? A professional pet sitter would. How do we know this? At PSI, we hear from professional pet-sitting members every day. They share their successes: the aggressive kitten that owners thought they would have to rehome but has now adapted to the family after the professional pet sitter shared behavior tips learned at a recent pet-sitter conference…the professional pet sitter whose pet-first aid training enabled her to recognize signs of bloat in a client’s dog and seek veterinary care just in time…the PSI Certified Professional Pet Sitter who was able use the information he learned about pet loss and grief counseling to comfort a family mourning the loss of a beloved pet. Every day we work with professional pet sitters who are committed to taking advantage of continuing education, to maintaining the proper business credentials and to increasing communication with their clients to ensure they offer the best professional pet-sitting services possible. We also hear the other side: the frantic call from a pet owner seeking advice because they’ve discovered their “pet sitter” wasn’t insured and they’re now left with thousands of dollars in damages to their home resulting from a running faucet left on overnight…the e-mail from a pet owner asking for help finding a professional once they return home to discover their pets have been left unattended for days by the “pet sitter” they hired while they were vacationing…the tragic reports of pet owners trusting individuals they’ve found through an online listing only to have their pet stolen, lost or worse. This is why PSI is so passionate about promoting the benefits—and necessity—of using only local professional pet sitters. Even for pet owners committed to using professional pet sitters instead of friends or family, the search can be confusing. With the influx of Uber-like pet-care sites popping up in the last few years and news stories touting pet sitting as an easy way to earn extra money, more and more people are deciding to cash in on the growing need for pet care. Please know that just because you’ve seen a pet sitter in an online directory—or even on a nationally-publicized site—it doesn’t ensure that person is a legitimate, qualified professional pet-sitting business. Anyone can post a profile advertising pet-sitting services, so it’s important that you to take a closer look to ensure you are hiring a ”real pet sitter” to care for your pets. While professional pet sitters may cost slightly more than their non-professional counterparts, your investment pays big dividends. Using a professional pet sitter who is insured, bonded and trained protects you and your pet—and we know there’s no price you would place on your pet’s safety and well-being. We encourage you to ask seven important questions of any pet sitter you consider hiring. As a pet owner, you decide which pet-care option works best for you and your pets—and we understand that what works best for another pet owner may not be what works best for you. But, we want your decision to be an educated one. We want to make sure you know that relying on family and friends is no longer your only option—there are professional pet sitters available. We want to make sure that you understand not everyone who advertises pet-sitting services and “loves pets” is a reliable, qualified option—but there are professional pet sitters available. We understand that you may be looking for a quick solution and don’t think you have the time or money to invest in professional pet-care—but there are professional pet sitters available…and they offer quality care for reasonable rates. You just have to know where to look and what to ask! At PSI we are here to help answer any questions you may have about selecting a professional pet sitter….your pet is counting on you to make the best decision!